You love your new home, however there are some things here and there that need to be refreshed or renovated. When a full-on reno isn't in your budget, you can still make some major changes with minimal money. It does involve rolling up your sleeves and doing some dirty work, but think about how proud you'll be when you sit back and reap the benefits of your hard work. 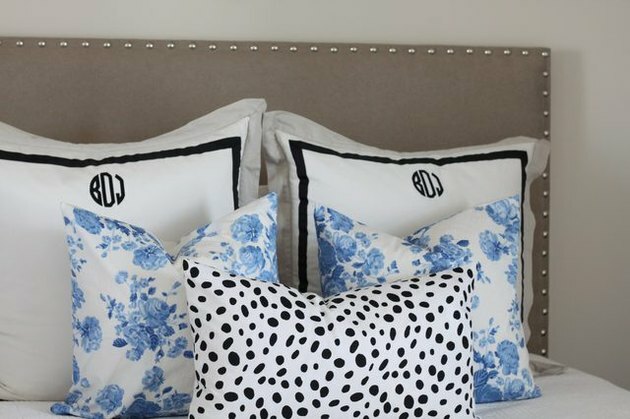 These 10 DIYs are the perfect place to start. 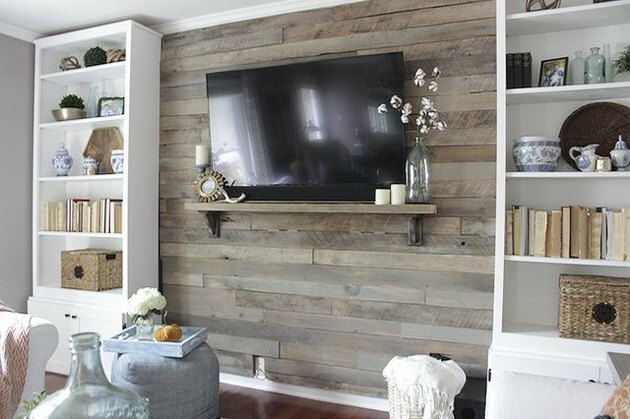 Do you dare try to cover a basic wall with wood pallets? Yes you do, especially if you're a fan of the rustic, earthy look. Use this pic this for inspo. It's hugely popular on Pinterest. 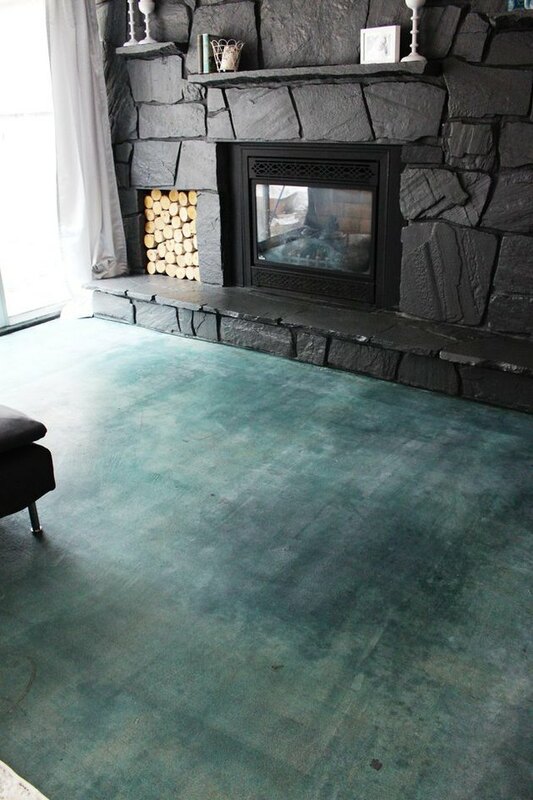 So you pulled up that ugly rug and now you're faced with a plain concrete floor. Don't let it get you down — stain it! This acid stain DIY project will give you high impact flooring that won't totally break the bank. Ok, so it looks like hanging curtains isn't as straightforward as one would think. Help. 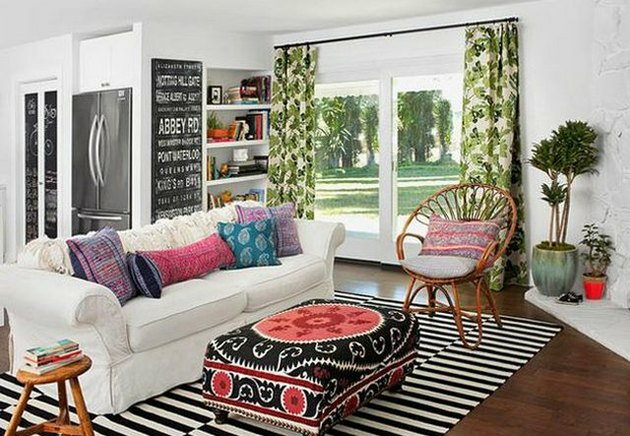 While this isn't technically a DIY, there are window treatment tricks you should consider to avoid wasting money — and luckily interior designer Amber Lewis lays it out for you. 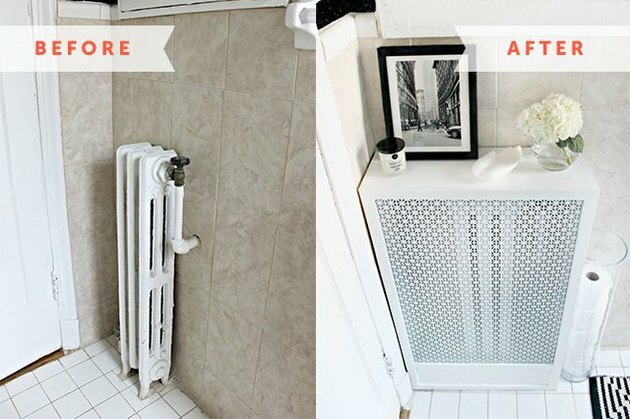 If you fall in the camp of not thinking that radiators are all that charming, we have a solution where you can hide that hideous thing. It's even perfect for renters who want a bit more space and can now use the cover as a perch for other things. Outdated kitchen tile can be such a downer. 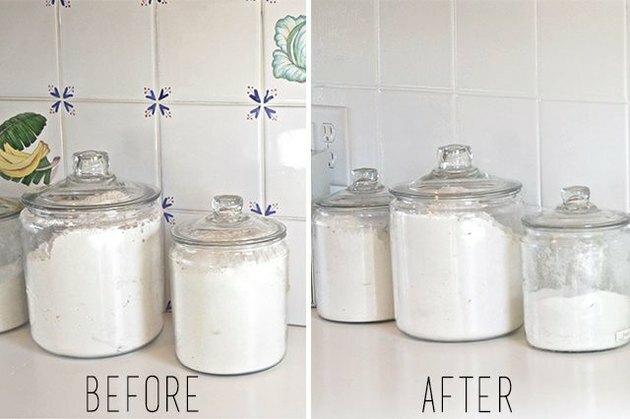 If you don't have it in your budget to retile, we've got good news for you: For a mere $30 you can brighten drab and dreary tile by simply using paint and this step-by-step guide. Who the heck decided to put that wallpaper on your walls once upon a time? 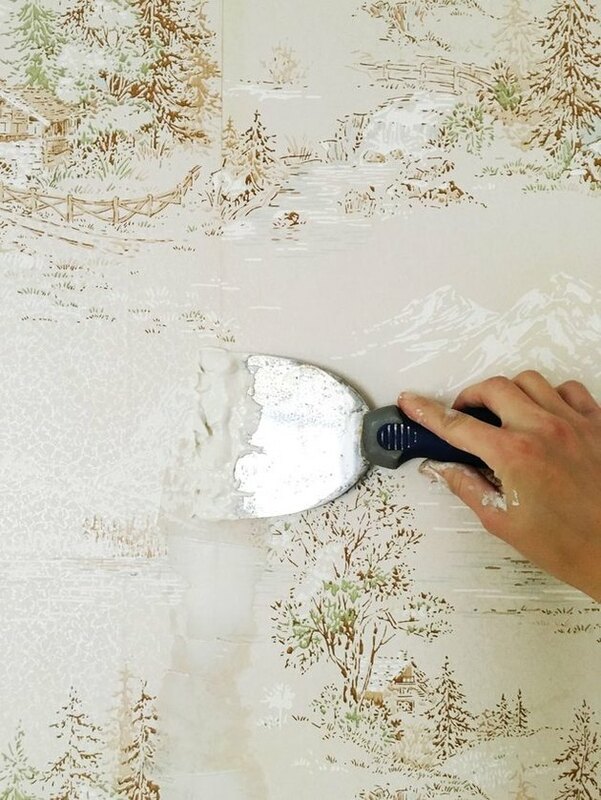 Removing old wallpaper can be tricky, and if done incorrectly can damage walls. But guess who comes to the rescue again? Paint. In one weekend, that eyesore can be gone. 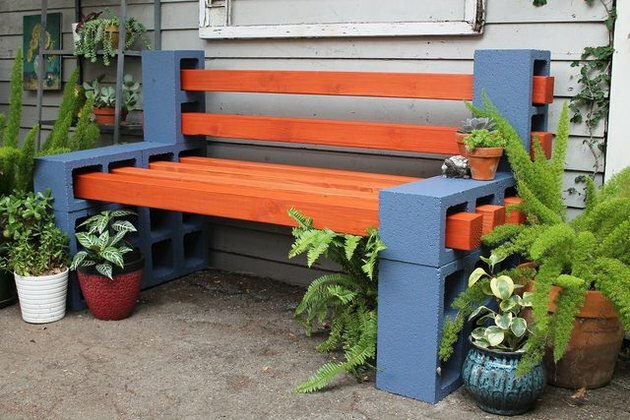 Pinterest readers have gone bonkers for this DIY bench. It's not expensive, and it's crazy easy, especially when you have the hardware store cut the wood for you. We get a chuckle out of the use of cinder blocks, but it works. It's a simple solution for when you want some outdoor seating without a hefty price tag. Buying a bed, frame, and headboard can be expensive, so why not make your own headboard? This DIY is gorgeous. It just brings a bedroom together. What can't copper pipe do? 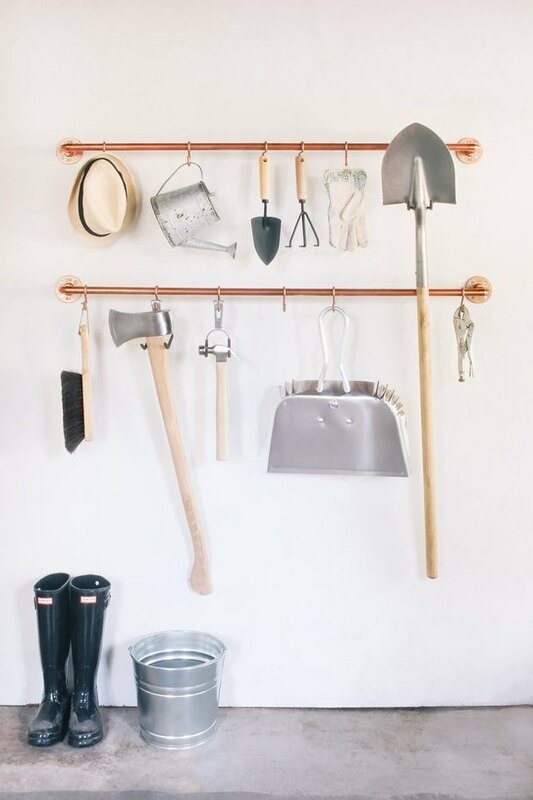 If your new home comes with a garage, you can easily arrange your tools on this organizer. Because in case you didn't know, now you need tools for all those things you need to fix, clean, or take care of. First impressions starts at your front door, but perhaps your entrance needs a little extra something. 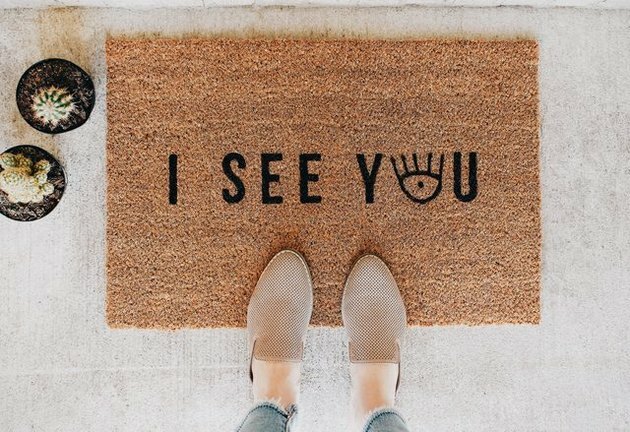 With this cheeky mat you can set the tone. While our DIY comes with a free printable, feel free to personalize it any way you wish.